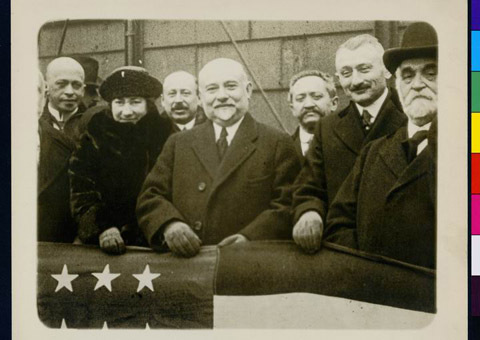 JDC - Archives : Taken at sailing of S.S. Westward Ho,1/26/1919 - officials by flag. Title Taken at sailing of S.S. Westward Ho,1/26/1919 - officials by flag. Description Taken at sailing of S.S. Westward Ho,1/26/1919 - officials by flag (see also NY_3472 - 3480).